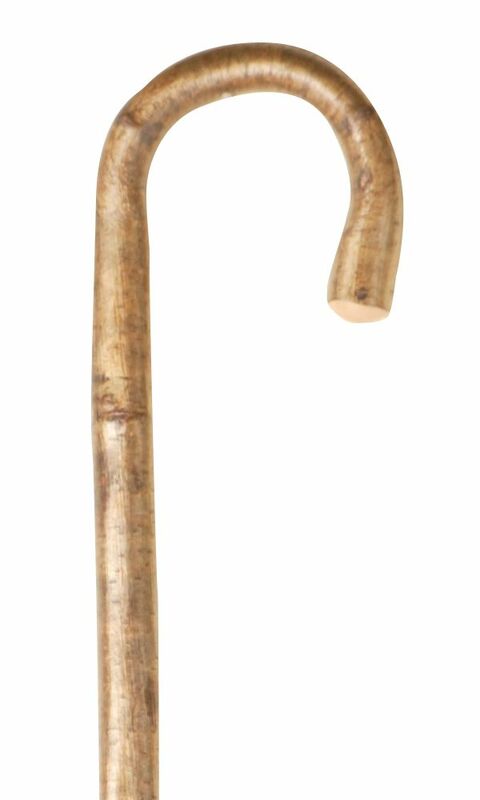 Extra long natural wooden crook stick with metal ferrule. Left to dry for over a year so that they can be produced with the bark left on, these sticks have a particularly rustic look. They are also cut from sustainable forests. Height 40" (102cm).